Why should I paint or stain my fence? Any high-quality wooden fence you buy will carry a guarantee against rot and fungal decay. That’s because, prior to your purchase, the wood will have undergone one of two types of protective treatment: dip treatment or pressure treatment. Dip treated wood will need re-treating annually for the preservative to remain effective. Pressure treated wood, although not for a considerable amount of time, will eventually need re-treating too. There’s no escaping it; at some point or another, all wood needs protecting from rot, insects, wear and tear if it is to remain healthy and maintain its attractive appearance. Therefore, the real question to answer is whether that treatment should be paint or stain? Paint is simple to apply with a brush or roller and will sit on the wood, providing extremely effective protection against whatever nature throws at it. There is a far broader range of colours available in paint than stain, so it can completely transform a tired-old run of fencing, your shed or that wooden storage box into almost any colour of your choosing. 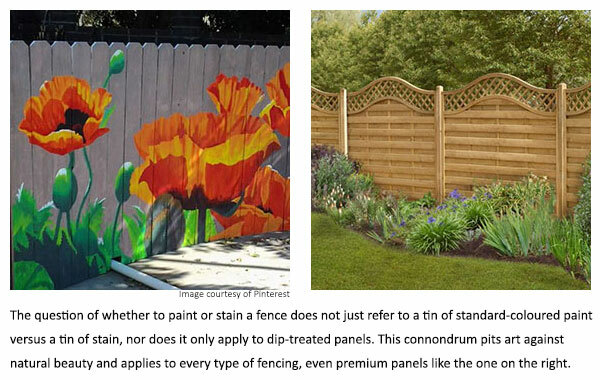 Paint allows you to customise your fence with the most novel of designs; the only limit is your imagination. Unlike stain, paint can be applied on top of surfaces that have already been painted, allowing you to choose a new look for your fence run as often as you like. Furthermore, litre for litre, paint will cover a greater surface area than stain, particularly if the wood is highly-absorbent. 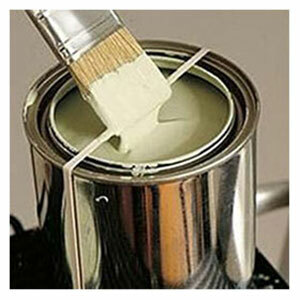 Stain is thinner than paint and is exceptionally easy to apply with either a brush or sprayer. Unlike paint, stain will not chip, crack or peel; it will simply fade and doesn’t restrict your wood’s natural ability to breathe. 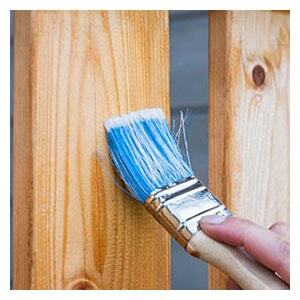 When it comes to re-staining a fence, things couldn’t be easier. Unlike with paint, there’s no need to sand the wood down; a simple clean and reapplication is all that’s required. There may not be as broad a range of colours to choose from but, when all is said and done, what is a preservative’s purpose: to paint a pretty picture or to enhance the appearance of the wood and protect it? 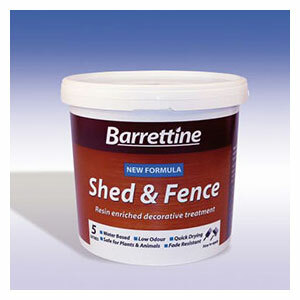 Furthermore, stain is cheaper than paint, only one coat is required and the need for reapplication is less frequent. Cost wise, it’s a case of swings and roundabouts. A case can be made for either paint or stain. In terms of application, stain is marginally easier to apply than paint. When it comes to effectiveness, both paint and stain will protect your fence but paint may restrict the wood’s natural ability to breathe, increasing moisture content and potentially causing rot. 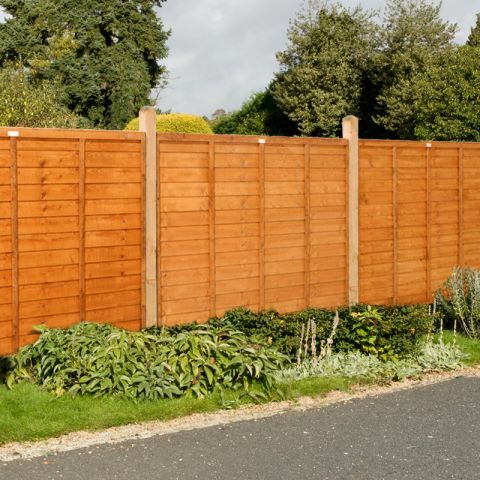 If you want to maximise your fencing’s aesthetic appeal, here’s the choice: for a flamboyant design, it’s paint; to bring out the natural beauty of the timber, it’s stain. So, which is it to be? If you’ll excuse the pun, we’re not ones to sit on the fence, and we plump for stain. After all, who would want to disguise the natural beauty of Buy Fencing Direct’s premium fencing? If you don’t believe us, just click here to view our superb range of garden fences for sale. To put off the inevitable for as long as possible, choose our pressure treated panels and you won’t have to pull out this article for another 15 years. How great does that sound? Is the bad weather affecting your garden fence?